​As Vice President of Collaborative Technology Platforms, Tom Salmon works with SEMI's staff to ensure that members, standards users, and volunteers worldwide receive maximum value from their association with SEMI. 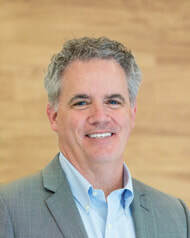 Additionally, he manages a number of SEMI's business and technology programs, including device manufacturer outreach, and the Chemical and Gas Manufacturers, Advanced Packaging, and Secondary Equipment and Applications groups. Before joining SEMI, he held several management positions in manufacturing, logistics, customer relations, and sales.